A quality board with nine 10s screen printed one below the other. 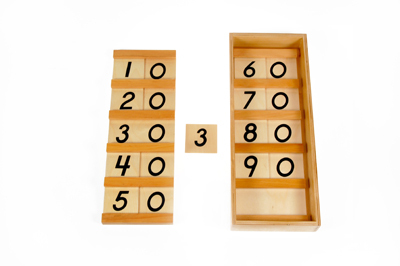 The board is slotted so that a set of numeral boards with the figures 1-9 can be slipped over the 0 of the 10s. 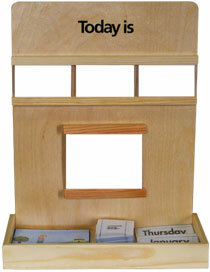 Purpose: To teach the child to make the association of the names 11-19 with the written numerals. To teach the sequence of the numerals 11-19.